Santa Photos with the amazing Lauren Pressey are back! 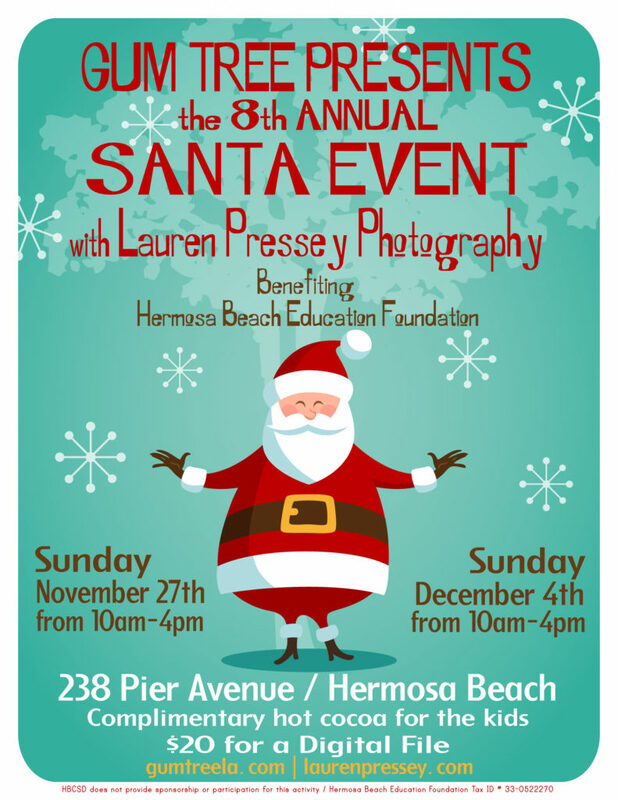 Benefitting the Hermosa Beach Education Foundation, every penny spent goes directly to HBEF! Come down for hot cocoa and some holiday cheer. Here’s a tip…if you can, wait until a bit later in the day. The line gets a bit shorter after lunch.